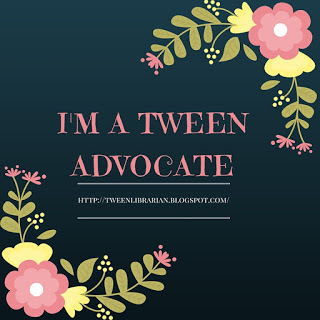 Tween Tuesday is a weekly meme hosted at GreenBeanTeenQueen to highlight great reads for tweens. Join the fun and add your link below. About the Book: Olivene "Ollie" Love is the eldest daughter of the traveling minister, Reverand Everlasting Love. While Ollie appreciates her father's ministry, Ollie longs for a house with indoor plumbing and to stay in a town longer than three days. When the Love's come across Binder, Arkansas, Ollie meets Jimmy Koppel, a boy whose mother is in jail for the murder of his father. Ollie is warned to stay away from the Koppel's but the more she gets to know Jimmy and his mother, the more she believes the case against Mrs. Koppel is wrong. Ollie decides to investigate the murder, making some enemies along the way. Can Ollie fight against a town that's quick to judge? And will Ollie find the friend and home she's been longing for? GreenBeanTeenQueen Says: Oh my goodness, if you want a heartfelt mystery with characters you want to reach into the book and hug, bad guys who are so mean they make you squirm, and a family you can't help but want to be part of, With a Name Like Love is your book. I loved this book! The Love family is a family you won't soon forget. Each of the five Love daughters is a distinct character and each girl has her own voice, which is hard to pull off in a large cast. Even though Ollie is the main character and we get the story mostly from her point of view, we still get to know the rest of the family. The supporting cast is just as richly drawn. The mean townsfolk who hate the Koppel family, the sheriff who doesn't seem to care for the justice system, the kind Mrs. Mahoney who offers the Love family more than they could have imagined. Binder, Arkansas was a town I could picture in my head and hear the voices of the townsfolk as I read. There is a mystery to this book, although there's so much more. This is a book about family, friendship, justice and love. It's one of those books that you just might tear up a little over in the best way. There is some heartbreak but there's also joy. There are good times and bad. But through the struggles the Love family face, they lean on each other. They are such a wonderful caring family without being an overly sappy family. (This is not Seventh Heaven) While Ollie's father is a traveling peacher, and the book does have an element of faith to it, that's more of a side story than a main part of the book, so don't let that deter you from reading if you think it's going to be more Christian fiction heavy (it's not). I'm also pleased with the way the mystery worked out. 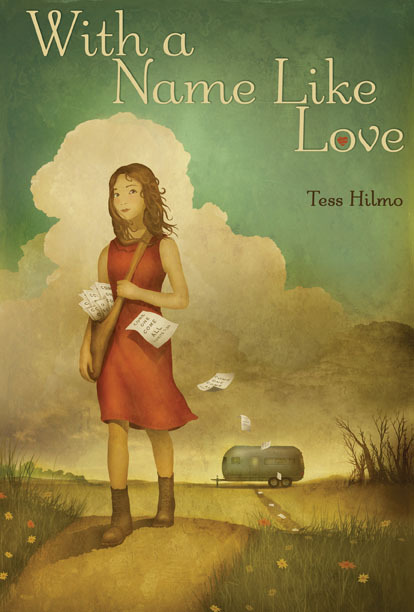 For a middle grade mystery to really work for me, it has to not be obvious and make you suspect a few characters, which Tess Hilmo successfully pulls off. The ending may wrap up a bit quick and be a bit simple, but overall, the mystery was engaging enough to keep me guessing. With A Name Like Love takes place in 1957, but it never felt like it got bogged down in historical details. There were things here and there to remind me of the time period, but this is a book that could be set anytime. I think this would help with giving the book to readers who might shy away from historical fiction. There's a mystery, but again, I would hesitate to say it's just a mystery. Mostly it's a book about family and readers who want a bit of a mystery or a bit of history have an extra treat. I would keep an eye out for this book. I'm thinking it may be a dark horse for award season and you might be hearing about the Love family come January. It's a book to read and cherish and fall in love with. I think what I like most is that it's a book that I think won't just appeal to teachers, librarians, and parents, but will also be loved by tweens. This is a wonderfully charming, memorable book that will steal your heart! Full Disclosure: Reviewed from final copy sent by publisher. Ooh, I'm waiting for my copy of this to come - now I'm doubly excited! This book sounds absolutely fantastic! Definitely on my TBR list!! Tess-Thank you for letting me be part of your tour and for writing such a fantastic novel! :) Good luck with your book launch-I hope it's awesome! Making an order card for our library, and I have to say I love the cover art - the younger me would have picked this up immediately. Loved this book! And I definitely agree about it being a dark horse...I would love to see it win something this winter.